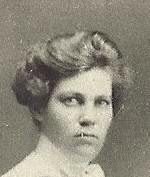 Mary was born on 27 Jan 1882 in Arispie, KS. 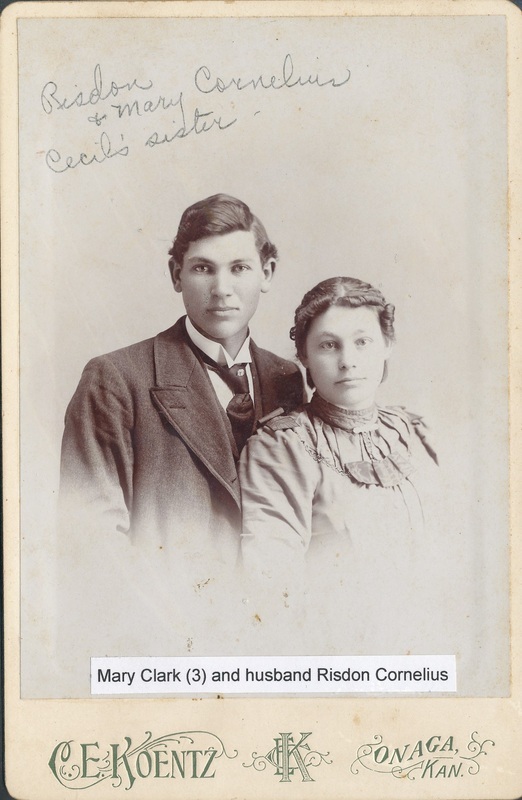 On 22 Jun 1904, she married Risdon Jackson Cornelius, son of Dora Allen and Andrew J. Cornelius of Ohio. Together they had one child. This was six years before Mary's sister, Mabel, would marry Risdon's brother, Roy. I bet it was fun at Christmastime, they didn't have to decide whose family to visit - they were all related. Mary was the eldest daughter, third child of 12 children. 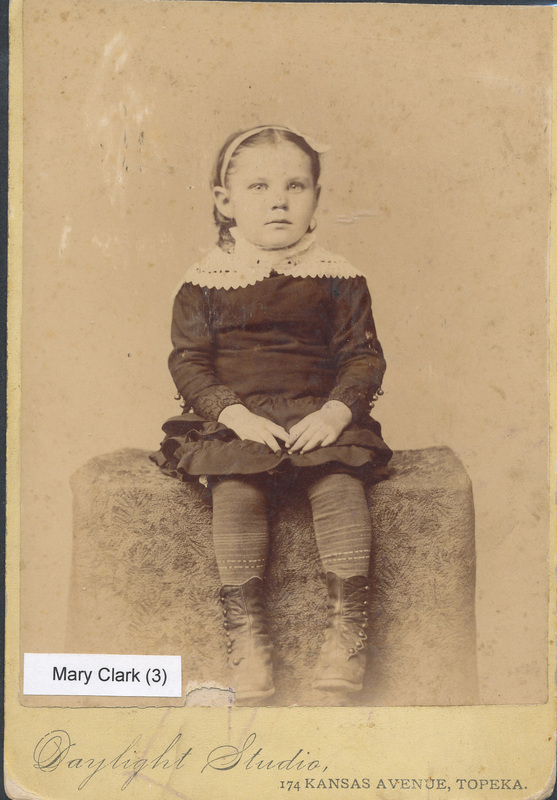 She was only 4 years old when her own mother died from tuberculosis, and after her father remarried (her Aunt Mary), she helped in rearing her younger brothers and sisters. Although she had only the one son, Donald, she mothered innumerable nephews and nieces. 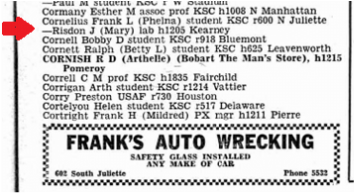 In 1949 they were still living in Manhattan, KS at 1205 Kearney St., according to the telephone directory. After they moved to Berkley, CA, she opened her home to college students and took great pride in their success and accomplishments. Notice the four digit phone numbers . . . Unfortunately, Mary lost her eyesight during her last years, but she accepted her affliction in stride and trained herself to make good use of her remaining faculties. Mary was planning to attend her oldest granddaughter's wedding (Jane Cornelius to Theodore Clark Settle in August 1963) when she was stricken with a severe heart attack, which prevented her from attending. She lived almost another four months before she passed away at age 81 on December 12, 1963 in Berkley, CA. She was buried at Westmoreland Cemetery in Westmoreland, KS, wearing her blue dress that she bought to wear to the wedding earlier that summer. Mary was very dear to everyone. At her funeral, as a last gesture of love and affection, her daughter-in-law, Marjorie Cornelius, went out and gathered arm loads of heather that Mary loved because of her Scottish heritage. It was used as a casket spray, together with orchids from loving friends and neighbor's gardens in California, which were flown back to Kansas especially for the funeral. 3.1 - Donald Risdon Cornelius was born on 25 Jan 1914 in Onaga, Kansas. Don attended the Kansas State College of Agriculture and Applied Science, and was a member of the Alpha Zeta (agricultural) fraternity. On 17 Dec 1938, he married Marjorie Williams in Marysville, KS. Together they had 3 children. In 1950, according to the U.S. Civil Service Register, he worked for the U.S. Department of Agriculture on a "reseeding project" in Manhattan, KS, under the division of Range Reseoarch, for which he made $5,800. 3.1.1 - Jane Ellen Cornelius was born on 15 Oct 1941. On 24 Aug 1963 she married Theodore Clark Settle. Together they had two children. 3.1.2 - Mary Ruth Cornelius was born on 14 Jun 1942. On 25 Jan 1969 she married Charles Johnson in Alameda City, CA. 3.1.3 - Ann Lizabeth Cornelius was born on 18 Sep 1946. On 16 Mar 1968 she married Jerry Allen Moore, Jr.